Remodeling or upgrading your home gives you a plethora of things to think about. Countertops are one of the main components in any remodel and there are tons of options to consider. However, stone countertops are one of the most popular choices. Though there are a multitude of fantastic features that are inherently built into stone countertops, the ultimate goals are to add value to your home and longevity of your countertop. As long as any natural stone materials are properly sealed, you’ll enjoy stone countertops for years to come. One of the most intriguing things about stone countertops is that even if you and your neighbor have the same style and color of countertops, they will never be exactly the same. In fact, they will hardly look similar. 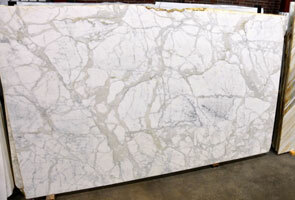 Much like snowflakes, no two slabs of granite, marble, quartz or any of the other stone types will be the same. So yours will be unique while still maintaining a superior level of beauty. 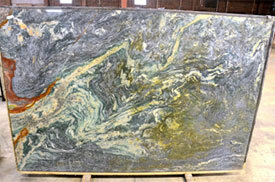 Picking the right color and material for stone countertops can be a somewhat tedious process. So when choosing patterns and colors bring home samples that will allow you to coordinate the colors of your cabinets, floors and appliances. Get multiple samples so you can ensure that your countertops are tying the room together in the most perfect way for the theme of your kitchen. There is little doubt that adding stone countertops to your kitchen will increase the value of your home. The gorgeous stone with its majestic finish and built-in durability will impress prospective buyers and houseguests alike. It’s simply one of the easiest ways to lend luxury and extravagance to your kitchen. The return on this investment will be a no-brainer when selling time comes around. Chances are the countertops you choose will be the last ones you choose in your current home. There’s an exceptionally good reason for that: Stone countertops last forever. Now, we don’t mean forever until the end of time, but forever until the next couple sets of homeowners move in and out of this house. Stone countertops offer a resilience and permanence you’ll notice and can enjoy from the day they’re installed until your last day in the home.